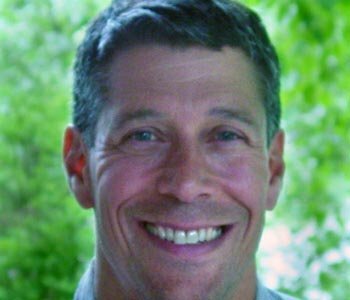 A Book Forged in Hell is about one of the most important and controversial books in Western history, one that continues to be vitally relevant today. Writing in May, 1670, the German theologian Jacob Thomasius fulminated against a recent, anonymously published book. It is, he claimed, “a godless document” that should be immediately banned in all countries lest its dangerous message disseminate among the masses. His Dutch colleague, Regnier Mansveld, a professor at the University of Utrecht, insisted that the new publication was harmful to all religions and “ought to be buried forever in an eternal oblivion.” Willem van Blijenburgh, a philosophically inclined Dutch merchant, wrote that “this atheistic book is full of abominations â€¦ which every reasonable person should find abhorrent.” One disturbed critic went so far as to call it “a book forged in hell” and written by the devil himself. The object of all this attention was a work titled Tractatus Theologico-Politicus (Theological-Political Treatise), and its author an excommunicated Jew from Amsterdam: Baruch de Spinoza. The Treatise was regarded by Spinoza’s contemporaries as the most dangerous book ever published. In their eyes, it threatened to undermine religious faith, social and political harmony, and even everyday morality. They believed that the author—and his identity was not a secret for very long—was a religious subversive and political radical who sought to spread atheism and libertinism throughout Christendom. The publication of and uproar over the Treatise is, without question, one of the most significant events in European intellectual history, occurring at (and perhaps even inaugurating) the dawn of the Enlightenment. 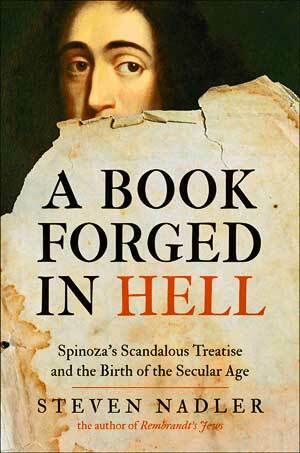 While Spinoza’s incendiary book laid the groundwork for subsequent liberal, secular, and democratic thinking—not to mention radical strains in political and social thought—the contemporary debate over it and the furor it aroused also exposed deep tensions in a world that had seemingly recovered from over a century of brutal religious warfare. Spinoza was the first to argue that the Bible is not literally the word of God but rather a work of human literature, an anthology of ancient writings handed down over generations and finally put together by a latter-day editor. He insisted that “true religion” and authentic piety have nothing to do with theology, clerical hierarchies, liturgical ceremonies, or sectarian dogma, but consist only in a simple moral rule: love your fellow human beings and treat them with justice and charity. He argued that ecclesiastic authorities should have no role whatsoever in the governance of a modern state. He also claimed that “divine providence” is nothing but the laws of nature; that miracles (understood as violations of the natural order of things) are impossible, and that the belief in them is an expression only of one’s ignorance of the true causes of phenomena; and that the prophets of the Old Testament were simply ordinary individuals who, while ethically superior, happened also to have particularly vivid imaginations. The book’s political chapters present as eloquent a plea for toleration (especially “the freedom to philosophize” without interference from the authorities) and democracy as has ever been penned. Only recently has the Treatise started receiving the attention it deserves. Philosophical studies of Spinoza have long concentrated primarily on his metaphysical and moral masterpiece, the Ethics, thereby making the Treatise appear to be only of secondary interest and barely worth a mention. At the same time, there lately seems to be a tremendous amount of interest in Spinoza among the general public. A surprising number of novels, films, plays, and works of non-fiction (and even an opera) have been devoted to his life and ideas. Many people have heard of Spinoza, and probably know something or another about his “radical” and “subversive” thought, but they far outnumber those who have actually read either the Treatise or the Ethics. The purpose of A Book Forged in Hell is to bring the Treatise, its fascinating history, and groundbreaking ideas to a larger reading public. I examine the philosophical, religious, and political theses of the Treatise, as well as the philosophical influences on Spinoza, the historical and political context of its composition and publication, and the uproar that followed its publication.